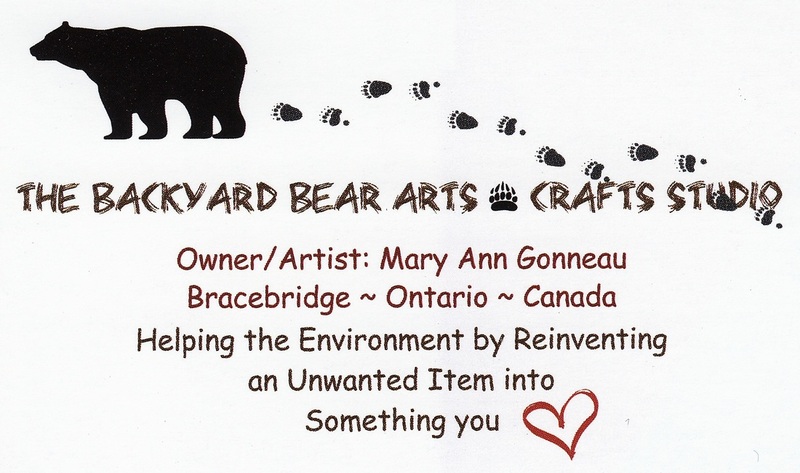 The Backyard Bear Arts and Crafts Studio is a mixture of painting, sewing and recreating items which are all or mostly made from used materials. The common theme is wildlife... birds and animals, insects and reptiles, fish and even flowers, all which are painted on driftwood, glass, boxes, etc. I also paint Pet Portraits and sew Mittens and Slippers from sweaters, fleece jackets etc. An unlimited supply of materials come from my 2nd hand shopping sprees and yard sale finds. Items which are considered redundant are given a new life by refurbishing, repainting, and upcycled into something else than its original form. 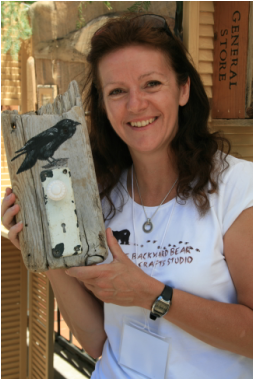 My shop name comes from my love of BlackBbears and to the bear which summered in my backyard. He must of known he was in a safe haven. Thank you and hope to hear your comments on my shop!